Don’t be fooled by the 1978 date – this LP was originally released in 1974 on Chrysalis. The pressing you are about to hear was made exclusive to Marks and Spencer stores on their St. Michael label. The Bond Suite consists of four contributions – a sweeping, almost regal arrangement of the James Bond Theme and a funky Live And Let Die being the highlights. This is followed by the very groovy instrumental Theme One (written for BBC Radio One by Martin) and the more sedate Elizabeth and Essex. Two Johann Sebastian Bach pieces complete the first half – Prelude For Strings and Air On The G String, both marvellous. 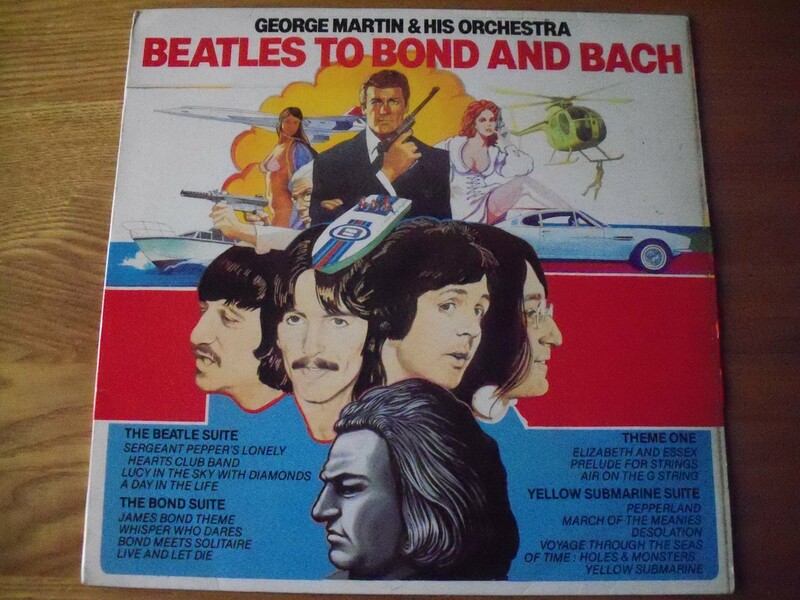 The Beatle Suite lasts for nine minutes and is like a wordless concentrate of Sergeant Pepper’s bone-marrow. Finally we drift back to shore with a selection of atmospheric tracks from Yellow Submarine – I am particularly taken with the lonely vibes of Desolation.